In an effort to aid you in your search for the optimal VPN protection, our expert team has designed this NordVPN vs. IPVanish comparison, detailing point by point the major advantages and shortcomings of these two renowned VPN service providers. Keeping in mind the varied needs of VPN users, this comparison highlights 7 main qualities crucial for choosing the best VPN provider. Read on and discover what will make one of these options the better choice for you. When making a choice becomes overwhelming, you can trust our professionals to simplify things. This comparison will let you know exactly how these two highly-ranked VPN providers differ, with all the pertinent information in one place, so you can quickly decide which solution will provide you more satisfactory service. NordVPN offers great protection to users of Windows, Linux, Mac, iPhone, Android, and Windows Phone and it is also compatible with routers, covering nearly the entire array of devices that may call for the use of VPN. IPVanish goes one step further and apart from being compatible with all the devices NordVPN supports, it is also designed to work on Xbox, which is a feature that is welcomed by all the gamers out there. NordVPN users can have their questions answered both through email and via live chat. The provider’s support page features an extensive list of FAQs, and you can also make use of numerous great tutorials and enjoy the benefits of being a part of the NordVPN online community. IPVanish is there to help you 24/7 with its great email ticket support. You can also find answers to your questions in the amazing FAQ section and familiarize yourself with the basics using the handy setup guides. Unfortunately, this provider does not offer live chat at the moment. NordVPN offers you both static and dynamic shared IP addresses as well as dedicated IPs. IPVanish has as many as 40 000 shared dynamic IP addresses available to its users. With NordVPN, you can subscribe for one month, six months or a year and the prices of these packages are $11.95, $7.00 and $5.75, respectively. Your subscription also comes with the amazing 30-day money-back guarantee. IPVanish also offers three types of subscription differing in duration and you can subscribe for one, three or 12 months. The prices of subscriptions are $10 for monthly subscription, $8.99 per month with the three-month subscription and $6.49 per month for yearly subscription. IPVanish lets you change your mind within 7 days and gives you your money back, no questions asked. NordVPN’s security suite includes L2TP and PPTP protocols as well as the most highly valued OpenVPN. IPVanish’s security protocols include the safest OpenVPN as well as PPTP, and L2TP/IPSec protocols and just like in the case of NordVPN, SSTP protocol is not available with this provider. 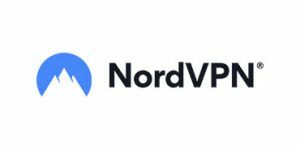 As one of the top ranked VPN providers, NordVPN is characterized by great reliability and performance, with over 1,700 servers in 61 world countries, allowing up to 6 simultaneous connections and offering unlimited bandwidth and server switching, with no limits regarding speed either. P2P option is also available. IPVanish also offers top-notch performance and reliability. It has 850 servers located in 60 countries around the world and lets its users enjoy unlimited speed, server switching as well as unlimited bandwidth. P2P is allowed as well as up to 5 simultaneous connections. NordVPN employs a kill switch, WiFi protection and AES-256 data encryption to keep you safe and also applies the no logs policy, so there is no traceable clue of your activity on the web. It allows you to pay with BitCoins, so there is no sensitive information sharing during purchase. IPVanish uses first-party DNS servers and also employs kill switch, WiFi protection, NAT firewall and AES-256 data encryption to ensure your security. It keeps no logs of your traffic and also offers the BitCoin payment option, for a maximally worry-free user experience.